Posts, Telecommunications and Information Technology Minister Mustafa Jabbar on Saturday said business entities from tiny street shops to multinational companies have embraced digital transformation for their existence. “If they [business entities] are failed to cope with digital transformation, would face the threat of nonexistence in future and it is a reality,” he added. The minister came up with this observation while addressing the inauguration ceremony of e-commerce fair at Dhak Bhaban. 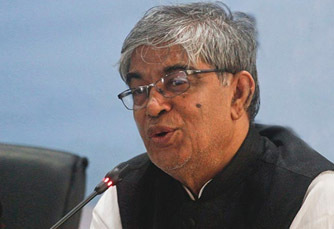 Referring to the ongoing digital transformation, Jabbar said e-CAB is pulling Bangladesh to the global society where people are spending daily life without visiting shops. e-CAB and Bangladesh Post Office (BPO) are jointly organizing e-commerce fair at divisional headquarters from March 30 on divisional post office premises. The fair would take place at Chattogram on March 30, Rajshahi on March 6, Sylhet on April 13, Khulna on April 20, Rangpur on April 27, Barisal on May 4, Mymensingh on May 11 and finally at Dhaka on May 18. Jabbar noted the BPO would turn into a most profitable state-owned organization if the network of BPO is utilized properly. He also revealed that the post office would be announced as “digital post office” soon. BPO director general Sushanta Kumar Mondal, e-CAB general secretary Mohammad Abdul Wahed Tamal and Daraz’s CEO Syed Mostahidul Huq were present.